Enter your all inclusive resort review for your chance to win a $200 Visa gift card! 1 in every 100 reviews will win a $200 gift card! 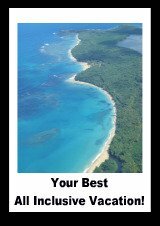 Simply enter your honest, original review (at least 250 words) of an all inclusive resort and it could be you! 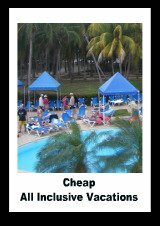 Enter the Best-All-Inclusive-Vacation-Packages.com contest by entering as many unique and original submissions as you would like into the contest category. By providing your e-mail address, you allow the Sponsor the ability to contact you if you are the winner. Plagiarism and non-original content. Plagiarism is not tolerated and non-original content will be omitted from the contest. All entries will be scanned electronically for any plagiarized pieces. All content (written and visual) submitted must be the unique and original material by the contestant. Contestants can enter the contest as many times as they would like, provided each entry is unique, original, and valuable. By entering the contest more than once, you increase your chances of having a winning entry. Once submitted, entries and photographs become the sole property of the Sponsor (Best-All-Inclusive-Vacation-Packages.com) and will not be returned. Submission of an entry constitutes the irrevocable grant to Sponsor of all rights in the entry, all rights to publish, use, adapt, edit, and/or modify such entry in any way and in any and all media, without limitation, and without consideration or acknowledgment to the entrant and the unconditional right to use the photograph and statements about the promotion for advertising/publicity purposes without additional compensation, except where prohibited by law. One Grand Prize winner will be chosen after 100 valid and approved entries are received for the contest. Winners will be decided based on the quality of the resort review, the helpfulness of the review to readers, tips for staying at the resort, reader comments on the review, and the quality and number of photographs included in the entry. The potential winner will be notified by e-mail. If the potential winner cannot be contacted within 14 days of attempted notification, an alternate winner will be chosen. All decisions by the judges are final. The Grand Prize winner will receive the prize specified on the contest page. 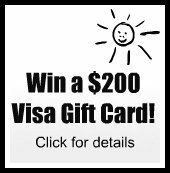 This prize will typically be a $200 Visa gift card. The contest is open to everyone where laws and regulations allow. Contest Void where prohibited by law. The contest is subject to all federal, state, local, and provincial laws and regulations. Please review the laws and regulations in your area to make sure you can legally enter contests from Best-All-Inclusive-Vacation-Packages.com. Income and other taxes, if any, are the sole responsibility of the winner. Prize is not transferable. By entering, participants release Best-All-Inclusive-Vacation-Packages.com from any and all liability for any injuries, losses, or damages of any kind caused by participation in the contest or the acceptance, possession, or use/misuse of a prize or participation in any prize-related activities. Acceptance of a prize constitutes consent to use the winner's name and likeness for editorial, advertising, and publicity purposes without further compensation (except where prohibited). By entering any Best-All-Inclusive-Vacation-Packages.com contests, you agree to be bound by the above rules and regulations.